Where does a hit man draw the line?With a controversial presidential election just weeks away, Quarry is hired to carry out a rare political assignment: kill the Reverend Raymond Wesley Lloyd, a passionate civil rights crusader and campaigner for the underdog candidate. 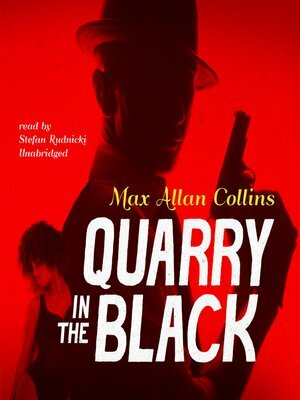 But when a hate group out of Ferguson, Missouri, turns out to be gunning for the same target, Quarry starts to wonder just who it is he's working for.The longest-running series from Max Allan Collins, author of Road to Perdition, the Quarry novels tell the story of a paid assassin with a rebellious streak and an unlikely taste for justice. Once a Marine sniper, Quarry found a new home stateside with a group of contract killers. But some men aren't made for taking orders—and when Quarry strikes off on his own, God help the man on the other side of his nine-millimeter.